Instructor Hogg began his fencing career in 1993 in El Paso, Texas, training in the modern competitive sporting form until 2000 under instructors Marietta and Bill Towry, Gary Murray, and the late Maître Gerard Poujardieu, Jr. 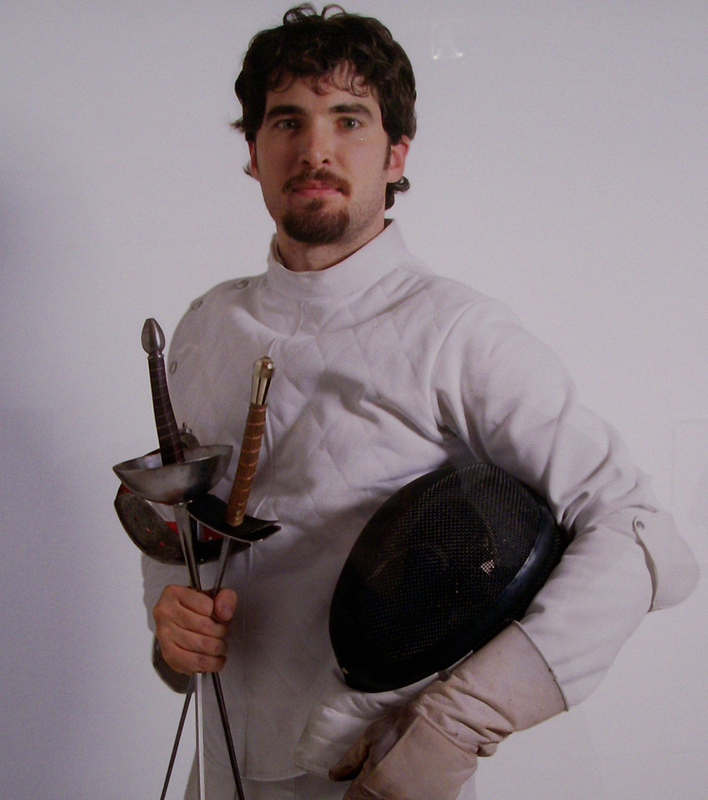 In 2003, Russell became a student of traditional fencing at the Martínez Academy of Arms. He was drawn to the Academy because of the way it honors the deep heritage of fencing. He has served as Chef de Salle at the Academy, where he has earned the rank of Instructor at Arms in classical French foil and dueling sword as well as French small-sword (a baroque-era weapon). He has also assisted the Maestri Martínez in a number of workshops and demonstrations. Instructor Hogg is the only teacher in southwest Florida certified to train students in both classical and historical arms. He has been teaching fencing classes / lessons in Naples FL since 2012, focusing on fencing as a traditional martial art. Although he has a broad interest and background in traditional fencing weapons and styles, Russell’s primary interest lies in the evolution of French fencing from its appearance as a distinct school in the mid-17th century. He thus devotes much of his attention to French foil, dueling sword, and small-sword, as well as rapier. He continues to research fencing of the baroque and classical eras, and has published articles on fencing in the 1800s and early 1900s. As a researcher and professor of anatomy he is also very interested in human anatomy and kinesiology as they relate to fencing (especially the teaching of fencing) and the martial arts in general. He is currently an Associate Professor in the Department of Rehabilitation Sciences at Florida Gulf Coast University. As a branch of the Martínez Academy of Arms, CGSF follows the curriculum of and receives instruction from Maestro Ramón Martínez and Maestro Jeannette Acosta-Martínez. The Martínezes are among the most experienced and well-respected practitioners, teachers, and guardians of traditional European sword arts in the world today, and are frequently called upon to give workshops and classes across the United States and internationally. CGSF is honored to be a part of maintaining this rich cultural tradition for future generations.